The only downfall is the built-in camera could do with being better and they could do with moving the fingerprint scanner or simply add face recognition to avoid unlocking it in future. There is only one reason to buy the Moto Z3 Play – Moto Mods. To be fair to Motorola that is like saying if you are a farmer buy a tractor to plough the fields! The Moto Z3 play is a fascinating device, I honestly can’t decide if it’s a slightly underpowered and under-priced high end device or if it’s an over-priced mid range. Regardless of how you decide to classify it, there’s a lot to like about it. The Moto Z3 Play is yet another MotoMod-enabled smartphone, with all the strengths and shortcomings that title implies. The Z3 Play will probably be Moto Mods' swansong. The battery life that the Z Play and Z2 Play here is lacking, but it's still a refined, attractive smartphone, despite the loss of the headphone jack. Moto Mods are still magical but, head over heart, there are better options close to the predicted RRP that you should carefully consider them before buying. The Moto Z3 Play joins an overcrowded lineup, and its price is too high for consideration. That’s a shame because, competition aside, the Moto Z3 Play is a good phone. It’s just not the one you should buy. Go with the OnePlus 6, and enjoy a premium phone for less than $600. The Moto Z3 Play is a charming but frustrating smartphone. Moto has improved the design, the display and the software from the past couple of years but then maddeningly taken away the headphone jack and the outstanding battery life. As it stands, the Moto Z3 Play is a flagship wannabe that struggles to stand on its own against the bigger Moto Z phones and competitors like the OnePlus 6. If you’re really into the Moto Mods there’s no alternative, but for anyone else, it’s tough to truly recommend it over devices on the market. There’s just no killer Moto Mod after all these years that can pull people in, and $499 is still too high for an impulse purchase for most people. This all leads into our final verdict on the Moto Z3 Play. It is incredibly easy to be disappointed with Moto for gimping battery life, and it would not be unjustified. The fact of the matter is, the new Z3 Play no longer has the same target market that embraced the Z Play series back in the day. Listen, there will always be some people that need flagship phones. But many average users don’t want to spend that much money. This is where the moto Z3 Play fits. It doesn’t have flagship specs but it can easily fill the needs of the average user. It does come with its problems though. The power button on the left is annoying. The camera isn’t the best but it’s good enough. But the price point is going to make this a must look for many buyers. The Moto Z3 Play feels like a baseball team slogging through the last couple of months of play, knowing that they need to finish the season but also knowing they won’t end it with a trophy in hand. 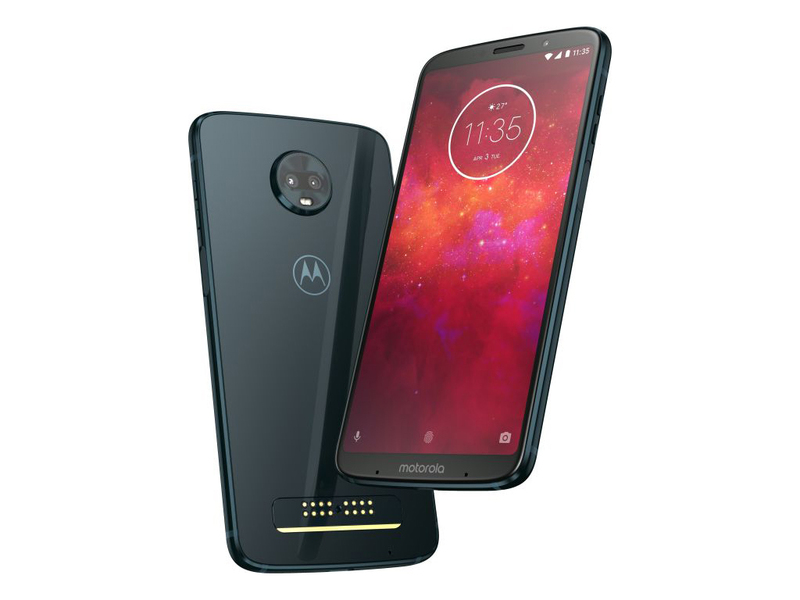 Motorola committed to supporting the design of its 2016 Moto Mods for three generations of phones, and the Z3 Play is that third-generation phone, riding out its contract. But for the rest of us, it’s a ride better left skipped. The Moto Z3 Play is one of the best upper mid-range smartphones released this year. Bien que l’autonomie de deux jours qu’offre le Moto Z3 Play soit excellente, son prix actuel n’en fait pas un rival crédible pour le OnePlus 6. The Moto Z line has traditionally proven itself as being one of the best in the mid-range category, striking a balance between performance and price. With the Moto Z3 Play, it introduces a few new things into the mix that we haven’t seen before in the line – like the 18:9 display and dual-cameras. We’re especially blown away by the camera’s performance, which rivals even some of the best flagships out there! The Moto Z3 Play is a very good mid-range smartphone that works on every U.S. carrier. But a mediocre camera and early software bugs keep it from getting my unreserved recommendation. The Moto Z3 Play's two-day battery life is great, but at its current price, it can't compete with the OnePlus 6. The Moto Z3 Play is priced at $499 unlocked in the U.S., which is fair for what you get, but not the greatest value. As a comparison, the OnePlus 6 costs only $30 more and gives you high-end specifications, a better camera, and a headphone jack. When judging the phone on its own merits the Z3 Play is a great midrange offering, but unless you highly value Moto Mods and Motorola’s software suite it’s probably not worth the money. If you're looking for that really premium performance, you're going to want to wait for the Moto Z3 Force, which Motorola will likely announce later this summer. If you really want the best camera, you'll probably want to look at something from Huawei or Samsung. The Z3 Play is a solid, all-around midrange phone that unlocks a world of Moto Mods for a reasonable price. But it falls short of being the value leader in its segment, like the OnePlus 6. Maybe? Like I said, the Moto Z3 Play is a solid phone. It’s designed well, has good battery life, great software, a nice display, and works with Moto Mods. On the flip side, its camera is not that great at all and the price is arguably a touch high when you know that Motorola has another phone (Moto G6 Plus) you’d buy over this if it was sold in the US. Without considering the features added by optional Moto Mods, the Z3 Play appears to offer a little more power, sans 3.5mm headphone jack, for those who don’t want to throw down for an expensive flagship phone. The Moto Z3 Play seems like a nice modern smartphone. It will be sold at $499 in the US bundled with the battery Moto Mod. Motorola's modular Moto Z Play phones are back for a third round. The Moto Z3 Play is another modular midrange phone in a line that debuted back in 2016 with the original Moto Z Play. The Moto Z2 Play debuted last year. Positive: Good price; nice performance; decent cameras; large screen. Positive: High performance; nice cameras; good display. Positive: Great built quality; smart Moto Mods; decent cameras. Negative: Relatively high price. Positive: Large battery capacity; smart Moto Mods. Positive: Stylish design; nice display; fast fingerprint sensor; excellent cameras. Positive: Very long battery life; nice design; great built quality. Positive: Stylish design; nice cameras. 83% Recenzja Moto Z3 Play – jednego z wielu czy może jednak wyróżniającego się smartfona za dwa tysiące złotych? Positive: Impressive design; solid workmanship; smart Moto Mods; powerful hardware. Negative: Relatively high price. Positive: Nice display; good hardware; decent cameras; smart Moto Mods. 76.84%: This rating is not convincing. The laptop is evaluated below average, this is not really a recommendation for purchase.